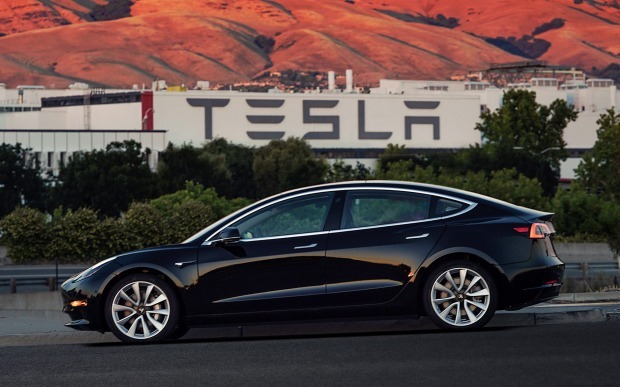 Tesla CEO Elon Musk, who shared the first images of the final production version of the Model 3 on Twitter last week, says the first 30 Model 3 customers will receive their cars at a party on July 28. Tesla will reportedly produce about 100 cars in August, more than 1500 cars in September, and then roughly 20,000 by the end of December. Shortly after the car was unveiled, Motor Trend got a chance to see the new Model 3 up close and shared its experiences on YouTube, seen below. Understanding some of the thought that went into its design choices might make you appreciate the Model 3 even more. 1. 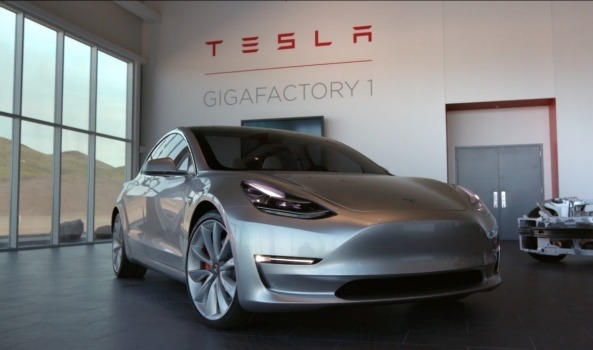 Tesla's Model 3 starts around [US$35,000 (AUD44,229)]. Tesla's next most affordable car is the Tesla Model S, which starts at double the price of the Model 3: roughly $90,000. 2. The Model 3 is a nimble electric car. It can go from 0 to 95km/h in just six seconds. 3. The Model 3 has a starting range of 346 km. That should accommodate most people's commutes. Tesla CEO Elon Musk says the more expensive versions of the Model 3 will accelerate faster and achieve longer range. The nose of the car is aerodynamic to maximise efficiency. There's no fake grille or openings that don't do anything. It's a totally clean look. The beauty of the car extends to the roof as well. There are two beams on top of the car, but most of the glass roof features one continuous slope. 5. It's smaller than the Model S, but it's still roomy. 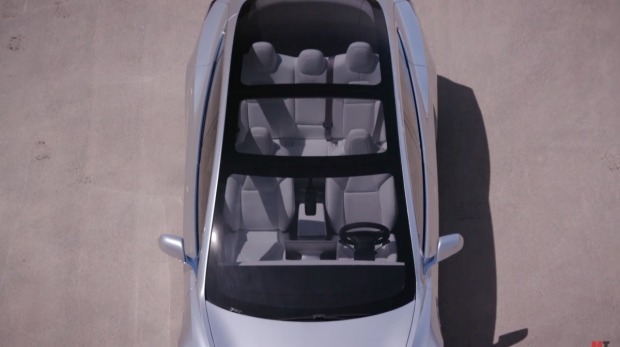 The Model 3 seats up to five people and can fit a 7-foot surfboard. I don't even own a surfboard and I'm excited about this fact. It's roomy enough to accommodate child seats. 6. The trunk is also bigger than it looks. Its hinges are actually pretty high up on the rear of the car so when you open the trunk it lifts up and out of the way. 7. 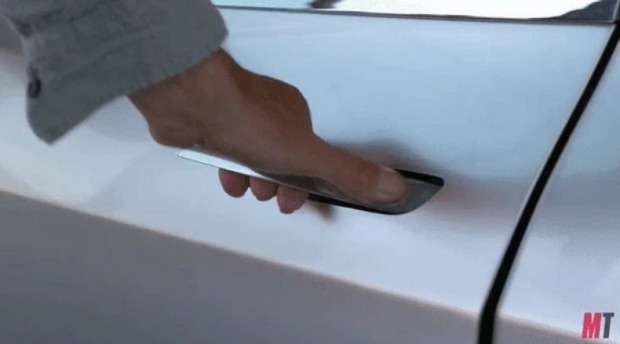 Tesla designed a new door handle for the Model 3. It stays flush with the doors but when you push in the metal it'll pop out and you can use the handle normally. 8. 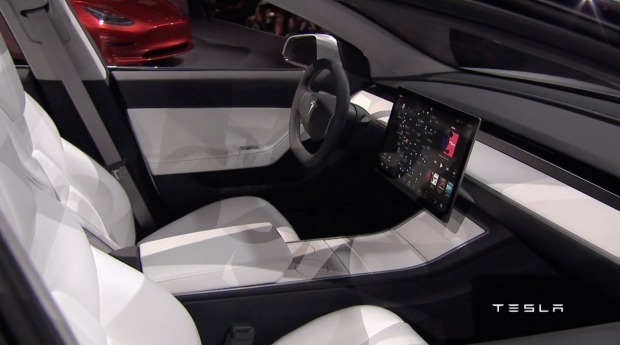 The Model 3 comes with a 15-inch touchscreen display. It provides information, entertainment, and navigation. 9. 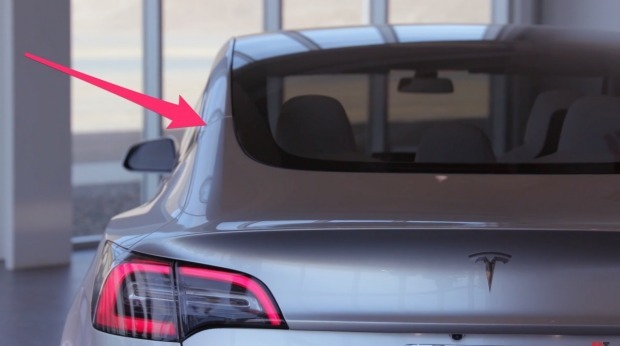 The Tesla Model 3 will be one of the first major cars to ditch the instrument cluster. That separate console in front of the driver that gives information like gas and speed? It's all right on the touchscreen display. As for other specs, the Model 3 comes with supercharging and Autopilot standard, but you'll have to pay extra for Autopilot's "convenience features", Musk previously told Business Insider. The first Model 3 just rolled off the production line last week. Tesla will begin shipping the car to the first pre-order customers over the next several months. Deliveries for new orders are scheduled to ship next year.